From Friday, new checkpoints will be set up at both terminal buildings of Pudong International Airport to check the weight and size of each piece of hand luggage. Shanghai Airport Authority will beef up inspections on oversized and overweight carry-on luggage at Pudong airport from Friday. 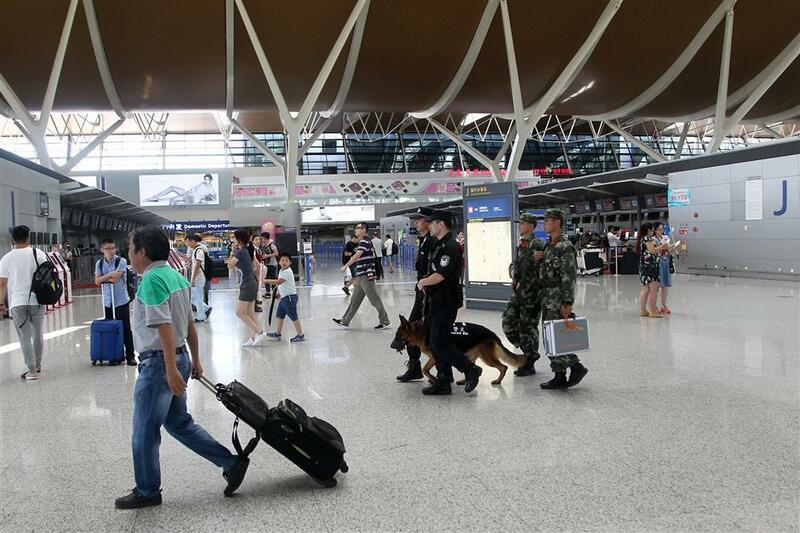 New checkpoints will be set up at the entrance of boarding areas at both terminal buildings of Pudong International Airport to help to carry out checks, the airport authority said on Thursday. Those carrying oversized or overweight luggage will have to return to the airlines' counters to get them checked, the authority said. Passengers are reminded to check the limits on hand luggage with their carriers in advance of packing to avoid delaying their trips. "Oversize luggage could make overhead lockers open unexpectedly during flights and cause safety concerns," the authority said. Furthermore, those carrying large carry-on baggage often block aircraft cabin passages and affect the boarding order and efficiency of passengers, it added. Airlines have stipulations on the size and weight of carry-on luggage, but most domestic airports including the city's Pudong and Hongqiao airports had no specific checkpoints to carry out checks on hand luggage. Airline staff at the boarding gates would rely on visual checks. "Some passengers on international flights would put heavy items in their carry-on in order to avoid being charged for overweight baggage," said a staff member of a local carrier. Stricter controls on hand luggage can improve the flight on-time rate, passengers' boarding order and flying safety, an official with Air China's Shanghai branch said. China Eastern stipulates each business and economy class passenger can take carry-on luggage up to 10 kilograms on both domestic and international flights at Pudong airport. Air China, China Southern, Hainan Airlines and Juneyao Airlines stipulate carry-on luggage should be no heavier than five kilograms.